Document and records management systems are awesome! That is, once they are up and running… But it takes time and hard work to get to that point. The benefits to a government’s or agency’s records program can be immense and the end justifies the means. Just how do you get there, though? Our speakers, Nathan Owens and Pari Swift, will share their journey from the RFP to implementation, to on-going maintenance of a system at a large state agency. Every industry presents its own unique properties and challenges in the management of physical and electronic records. 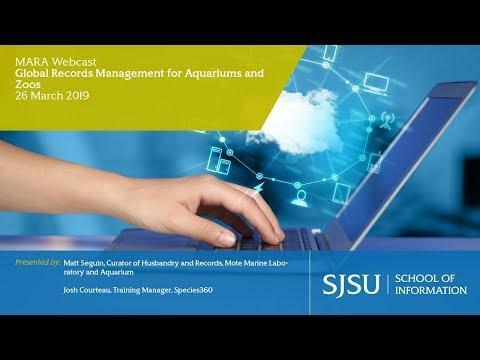 In this presentation, you will be introduced to the ever expanding and important world of records management within the legal environment of a law firm setting. 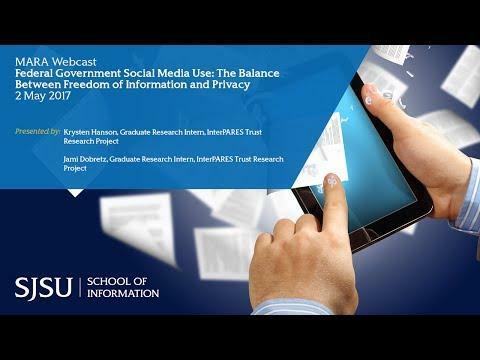 This online presentation discusses the federal government’s use of social media and the balance between freedom of information and privacy. It will closely examine the social media platforms employed by the federal governments of five countries, along with a discussion of associated policies, reasons and issues. The guest speakers will also cover the freedom of information acts, privacy laws, regulations, and policies implemented within these same countries. 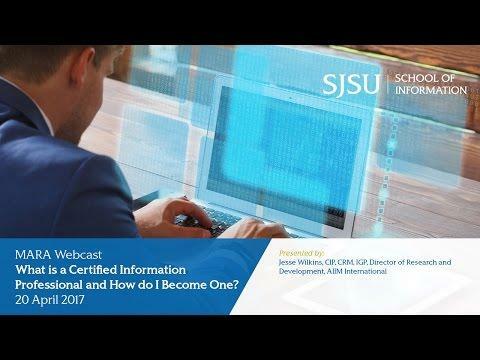 What is a Certified Information Professional and How do I Become One? This session will introduce the Certified Information Professional certification, how to prepare for the CIP exam, and review available resources for CIP candidates. Attendees will learn why and how the CIP was created, the intended audience, and how the CIP relates to other industry designations and training programs. Continuous improvement is a method for identifying opportunities for streamlining work and reducing waste. The practice, formalized by the popularity of Lean/Kaizen in manufacturing and business, is now being used by thousands of companies worldwide to identify savings and process improvement opportunities. Cunniffe of Sanofi, a global pharmaceutical, vaccines and biotech company, will give an overview of Lean concepts and discuss the use of Lean events at Sanofi in the Information and Records Management department, as well as across functions, to improve internal processes. The ranks of the information governance (IG) community are stirring. A debate is taking place. There has been a concept floated by some thought leaders in IG that contends that we are moving to a world where we retain all information—forever. Some even contend that IG is just a fad and advances in search technology will soon eliminate the need for IG. This presentation debunks those notions and provides a solid rationale for IG. What’s New in Federal Records Management? With the issuance of a Presidential Directive on improving the management of federal records in November of 2011 and landmark updates to the Federal Records Act passed into law last year, there have been significant changes in how NARA and agencies are managing records. During this discussion, a member of the NARA RM policy team will talk about these changes and other improvements in the management of federal records. Many organizations use Google Apps, but there are very few tools available to compliantly and effectively manage this content. 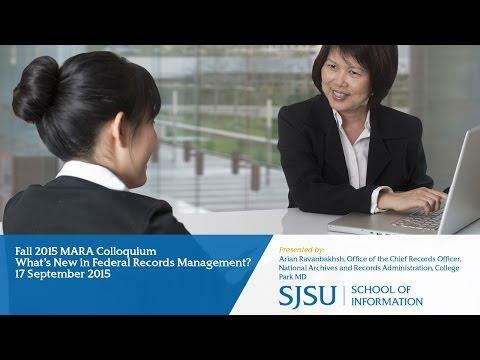 This presentation explains why organizations use Google Mail, Google Vault, and Google Drive. 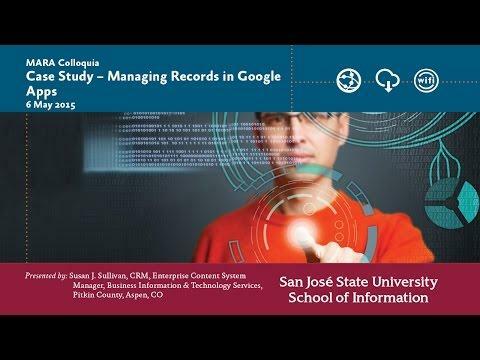 It describes the recordkeeping challenges, and explores solutions for managing business records created and maintained in Google Apps. We will explore proven and potential policies and technical solutions for managing records created, received and maintained in Google Apps.